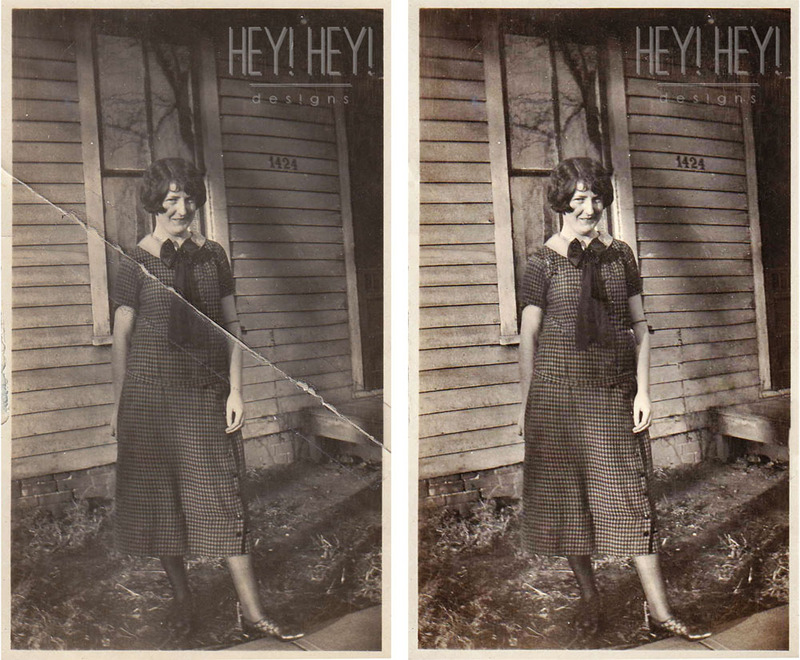 A while back, I carefully scanned and restored a ton of old pictures as a gift to my Nana for her birthday. I placed them on a disc with music and the family sat around while she got misty-eyed and told us who was in the photos. It was very cool. This was one of the pictures of her mother. It was a fun project. I like to leave a little bit of distress on the photos for the charm. But a blatant tear like this needed fixing.